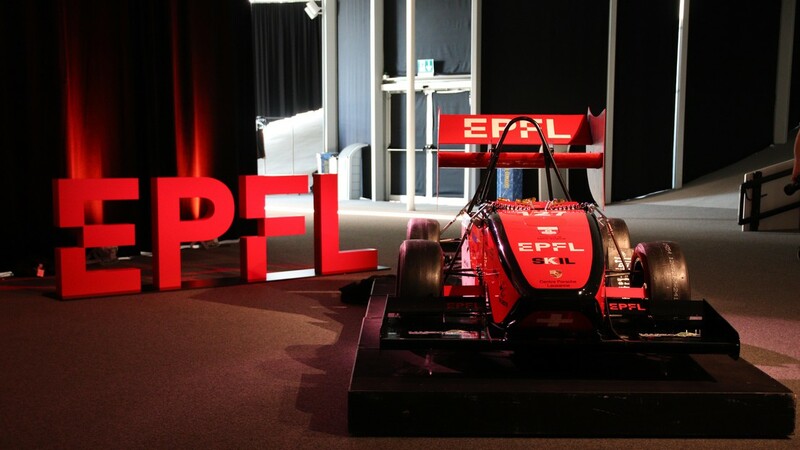 Formula Student is the European arm of Formula SAE, a competition launched by the US-based Society of Automotive Engineers (SAE) in 1981 in which students are tasked with designing and building a prototype single-seater racing car. Once the technology-packed vehicles are ready, teams put them to the test in a series of track demonstrations, including an endurance race. Lausanne Racing Team’s electric car, measuring 2.5 meters long by 1.6 meters wide, features a single, rear-mounted electric engine along with a composite body made from linen fiber, a natural and mechanically robust material. The students bought the engine, but decided to design their own battery management and cooling system – a formidable task that the team is still grappling with. “The real challenge is asking the right people the right questions,” says Pierre Dussaux, the team’s technical director and a Master’s student in mechanical engineering. Last fall, for instance, the team spent two days at Ferrari’s headquarters in Maranello, Italy, and they are still in touch with engineers there from time to time. For its debut year, Lausanne Racing Team will take part in two races: the first at the Hockenheimring in Germany (5-11 August), and the second in Montmeló, Spain (20-25 August). The students have until August to put the finishing touches to the car and test it on the track. Six drivers, all members of the team, will put the vehicle through its paces. “We chose drivers who’d been involved in building the car because they’re best placed to tell us where things need improving,” explains Georges. Sponsored among others by Saint-Sulpice and Lausanne Porsche Center, the team is also looking for sponsors to help cover the design and development costs, which so far stand at between 90,000 and 100,000 francs. “At the start, Formula Student seemed like an impossible dream, but we’ve done it – and we want to keep showing we’ve got what it takes,” says Dussaux.